Alex Ross Perry’s film is clearly inspired by several key films of Robert Altman, Roman Polanski and even Rainer Werner Fassbinder. But make no mistake: This film is absolutely true and unique unto itself. 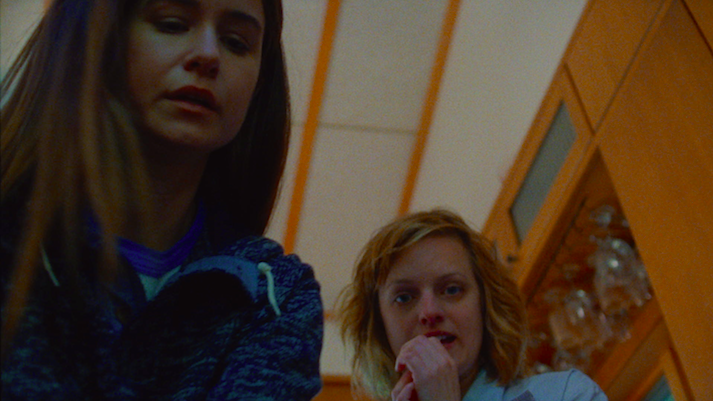 Alex Ross Perry’s film is well articulated and masterfully done it never veers. It holds the audience from beginning to end. It is as if the writer/director has created the perfect cinematic symphony with an orchestra full of exceptional players: Keegan DeWitt’s musical score, Sean Price Williams’ cinematography, Robert Greene / Peter Levins’ tight editing and three actors in key supporting roles (Kentucker Audley, Patrick Fugit, Kate Lyn Sheil and Keith Poulson) — all pull together to form an ideal “stage” for the Perry’s two key leading ladies. 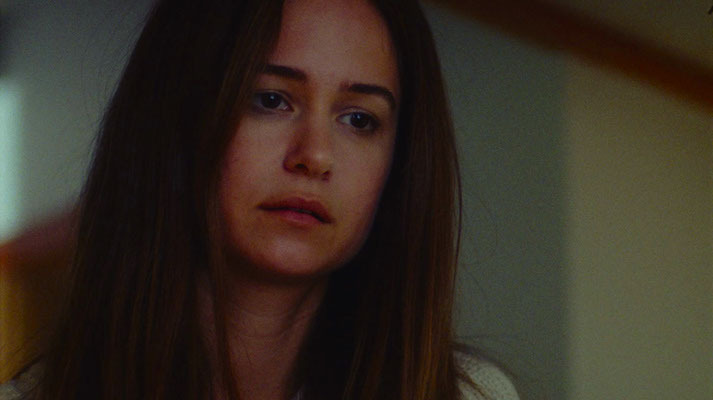 Katherine Waterston’s portrayal is a mix of “ice” and “fire.” She moves about the film fully formed like twisted idea from a Modigliani painting merged with a 1970’s Holly Hobby Doll. 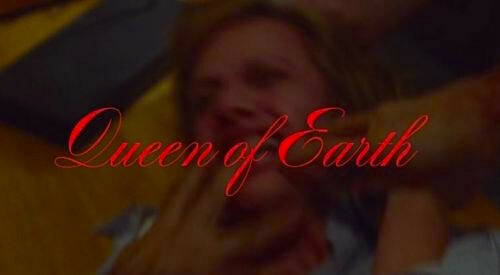 But the heart, soul and ultimate power emanates from Elisabeth Moss. The camera seldom moves away from her and you don’t want it to — she is captivating and brilliant. 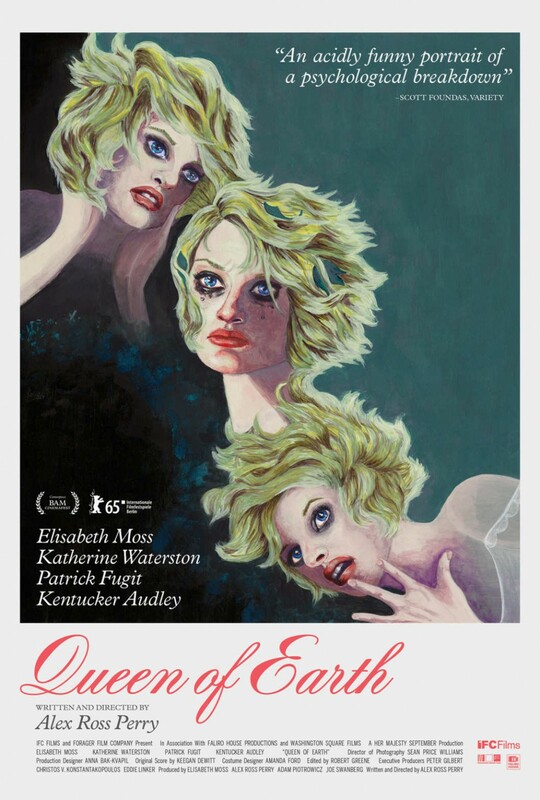 Alex Ross Perry has created a real bit of magic with “Queen of Earth.” Despite a low budget and an idea that seems ripe for parody — he has created a stunning film is as interesting as it is disturbing. Long after the film ends, the true horror of what has been played out takes on a deeper and more sinister element.